Joseph’s chest began to rise and fall with a pattern that would have been troubling to anybody. Lying on his side, resting on the Amazima clinic bench, his eyes looked vacant, and his temperature climbed higher. His mentor Judith knew it was time to take action. She had known Joseph for long enough to recognize that he was seriously ill, as he was normally happy and bouncing around. She began making arrangements to have him taken to a clinic more capable of addressing a serious case such as his. 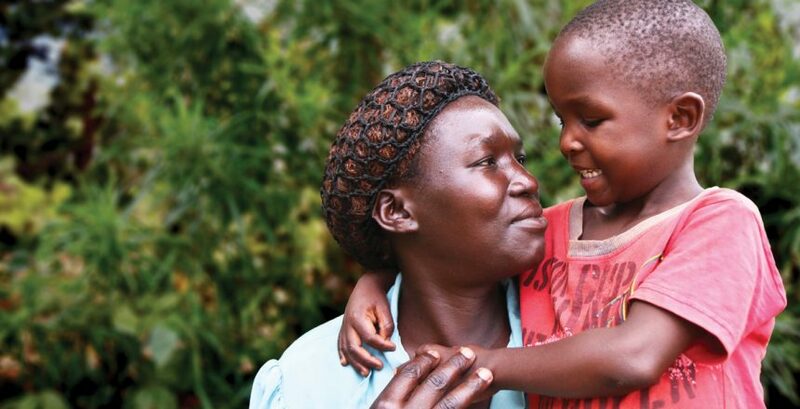 At only three years of age, Joseph was in need of a blood transfusion due to severe malaria. This would mark the fifth blood transfusion of his short life. Blood was scarce in the area and his blood type the most rare. Time was not on our side as we loaded him up in a vehicle and quickly drove him to the nearest hospital, hoping and praying that they may have blood there. His mother, cradling his small body in her arms, tried to hold him still as the van bounced and jostled along the beaten roads. The urgency only increased as the hospital confessed they had nothing. Phone calls were quickly exchanged, and it seemed like there was no option for Joseph. The idea of making a trip to another city was daunting, and his hemoglobin was dropping quickly. A father to one of our staff members was visiting and was also along in the van. He was willing to give, and we were more than willing to receive! As usual, we could see God’s sovereign hand of provision and care even in the smallest details! Judith gathered up all of Joseph’s things and instructed his mother to get back into the van. We moved quickly to the nearest hospital that could perform a transfusion of this type for Joseph. The van jolted and rocked just as much as before, only this time, there was something different about the ride. This time, there was hope. This father, this man, had no idea what the day would hold for him. It was just another ordinary day of work. But what he held in his veins was hope for our sweet boy Joseph. And we know that is how God loves us—unexpectedly, undeservingly, extravagantly. And we find that even though there are situations where we may feel like we have nothing to offer, God decides to work through us to display his sufficiency; we just have to be willing. The blood transfusion was a success, and it bought us time. Joseph was transferred to a hospital in Kampala, the capital city of Uganda, for a two and a half week stay. Today, you might see Joseph running around the playground with his friends, eating a huge bowl of beans and rice, or holding tightly onto a bag of new school supplies for his first year of school. We are so thankful for the grace that was given for Joseph’s life. We are even more thankful that God would choose us to be a part of it. Thank you for allowing God to use you to help children like Joseph. You may be unsuspecting or completely unknowing, but the Lord’s healing is shown by your willingness to be a part of our ministry.